Finally! I know where I'll be during my lunch break on Monday. 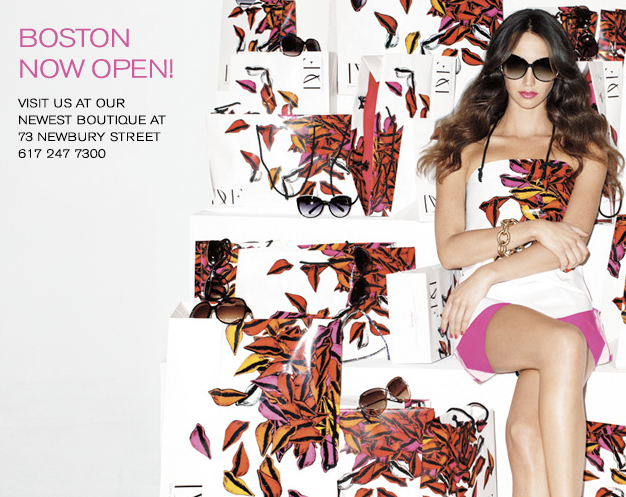 Lucky for you that DVF is opening near you. Sigh! Ohhhhh!!! I haven't made it to the DVF around the corner from me yet, on Melrose...but ADORE her!!!! And her clothes! So excited about DVF! I have not been in there yet but hope to stop by soon.